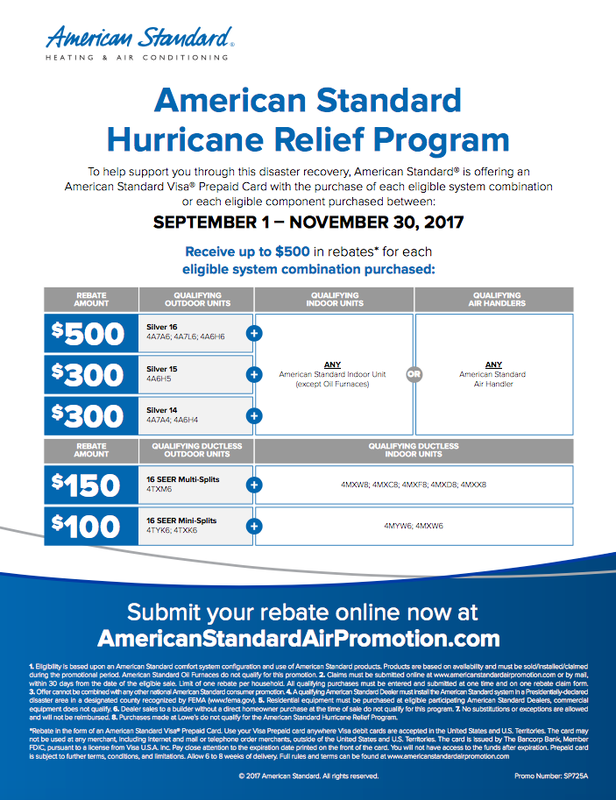 American Standard has released the Hurricane Relief Program to assist with disaster recovery from Hurricane Harvey. If you replace your unit (both indoor and outdoor as well as outdoor only) between September 1 – November 30, 2017 you can receive up to $500 in rebates via a Visa Prepaid Card! 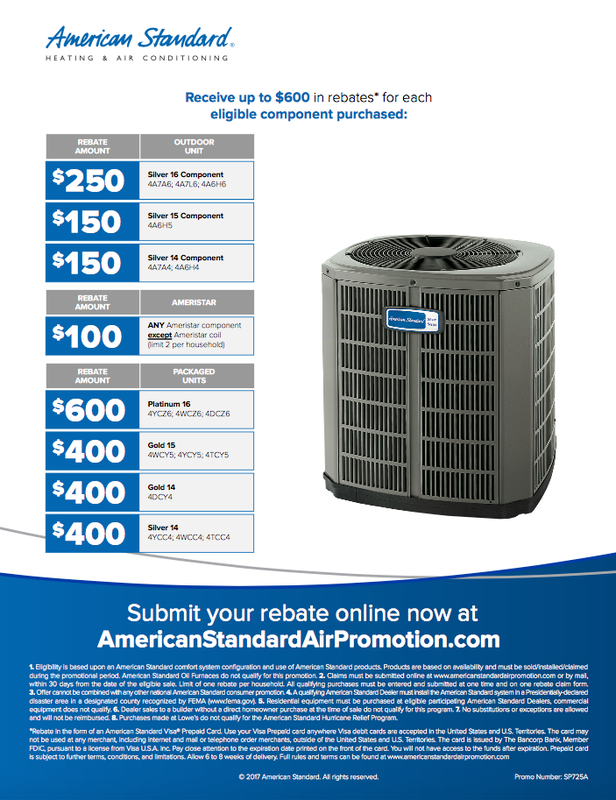 After installation is complete, submit your rebate online at www.americanstanadrdairpomotion.com. 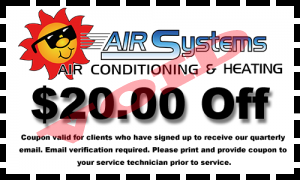 If you are in need of a proposal to replace your damaged unit call us to schedule a no cost appointment with one of our technicians.